We all enjoy having fresh flowers in the home, but they can sometimes be costly and the range is often limited. In this inspiring guide, Alan Titchmarsh shows how to grow a vibrant selection of plants to use in arrangements: flowers of many shapes, sizes and colors, and foliage, berries, and seedheads too. With a little planning, you can have something beautiful in your home every day of the year. * A–Z directory of Alan’s recommended plants for cutting * Ideas for arrangements and planting plans for cutting plots * Tips on choosing the right plants for your garden * Expert advice on cutting and preparing flowers and foliage * Seasonal recommendations and ideas for special occasions. 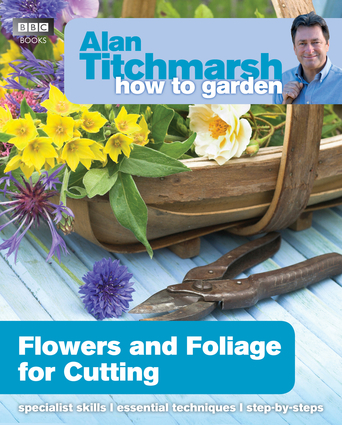 Originally trained at Hertfordshire College of Horticulture and Royal Botanic Gardens, Kew, Alan Titchmarsh is the author of over 40 books about gardening, including How to be a Gardener Book 1: Back to Basics, the fastest-selling book of all time in the genre. He writes for BBC Gardeners' World Magazine, and is gardening correspondent for the Daily Express and Sunday Express. A frequent broadcaster, Alan has covered The Chelsea Flower Show for the BBC for over 25 years, presents Love Your Garden for ITV, and has a weekly show on Radio 2.